Freebird by Steven is gaining popularity with their woven insert boots! 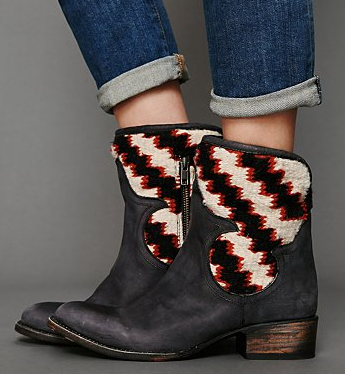 Very rugged cowboy with a touch of boho, this pair is definitely on my wishlist for the holidays! Buy at Free People for $328.